Enlarge Acoustic Foam Front Sheets for Speakers . 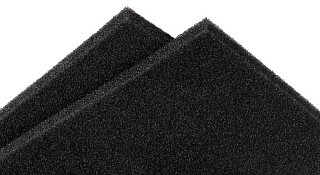 Anthracite-coloured, open-cell foam (10 mm thick) with high sound transparency, in various dimensions. Supplied in pairs. 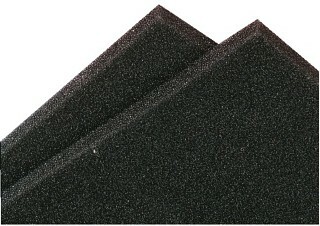 Acoustic foam front pads for speakers, in different sizes. Especially suitable as front panel for PA speaker cabinets. Open-cell polyurethane foam, anthracite, 10 mm thick. Temperature stability: -50 °C up to +90 °C.